I am writing on behalf of the Kelowna Chamber of Commerce: the third largest Chamber in BC with approximately 1200 members, and the largest Chamber in Interior British Columbia. Our membership base represents over 25,000 employees of our member businesses and not-for-profits. We have concerns over some of the proposed changes to the Employment Standards, Act, especially around Sick Leave and Statutory Holiday Pay. I have been a business owner and manager in Kelowna for a number of years. I am no stranger to mounting costs, especially over the past two years, with the layering of many new taxes, increases in the minimum wage and rising municipal charges. We hear this from our member businesses and not-for-profit organizations all the time. These increasing costs are stunting growth and reducing businesses’ capacity to invest in our local community. Further costs to business resulting from gratuitous sick leave and statutory holiday pay laws would only serve to reinforce these negative trends. The BCLI Employment Standards Act Reform Project Committee has outlined several options to reform sick leave. They range from keeping the existing system of five unpaid leave days, to a substantial change of ten paid sick leave days. The cost associated with the latter option is extremely worrying to our local employers. Not only would legislating the ten paid sick leave days go well beyond the standard across Canadian jurisdictions but could also discourage employers from hiring additional workers and instead opt for contract arrangements. 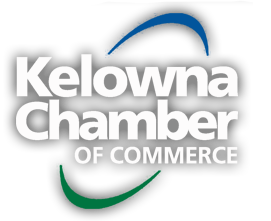 On behalf of our Chamber members, the Kelowna Chamber firmly supports the current sick leave policy and ask that it remain unchanged or similar to current legislation. Turning to the Committee’s recommendation around statutory holiday pay, I also want to express our opposition. The new law would require employees to work or earn wages on only 16 of the 60 days preceding a statutory holiday to be eligible for statutory holiday pay, as opposed to 15 of 30 days preceding statutory holidays that is in place currently. Statutory holidays and paid sick leave are expensive for employers. To improve BC’s investment and business climate, a proper balance between promoting employee welfare and reducing business costs is crucial. When businesses are unable to thrive and must cut labour costs, the employees are the first to be impacted. I urge you to consider the opinions of our 1200 Interior business and not-for-profit members, so that our local owners, managers and organization directors can continue to move our economy forward with certainty. I would like to close by saying that we appreciate your reviewing this correspondence, and reflecting on the issues that we, and other business organizations, including the BC Chamber of Commerce and the BC Business Council have brought to your attention.